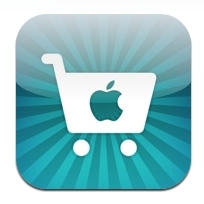 Apple has just released an update (1.01) to their Apple Store iPhone App that now is compatible with iOS 4. The updated app also contains “high resolution product gallery images for iPhone 4” which we assume means that the images in the gallery in the app when using an iPhone 4 are high resolution, and not that there are new high resolution images of the iPhone 4 itself in the gallery. Hopefully Apple can clarify that a bit. The Apple Store app just launched right before iPhone 4 and iOS 4 came out last week and it would certainly be interesting to see what kind of engagement/purchases Apple has seen from the app so far. The app currently has 17502 ratings with an average of 3.5 stars so it certainly has been downloaded plenty and people seem to generally like the app. Read next: SO Harsh..but SO funny. The Internet's greatest screamers.